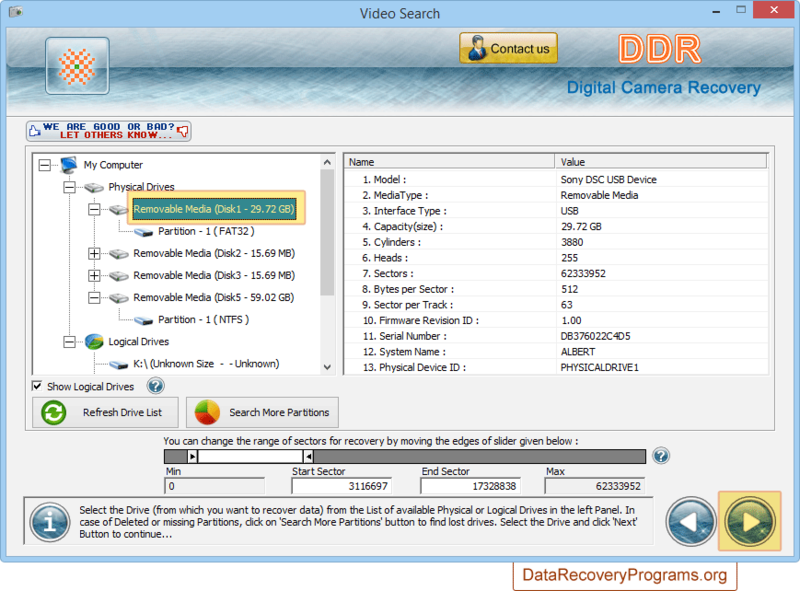 Advanced Digital Camera Photo Recovery Software is designed and developed to recover entire deleted media files and photo galleries from digital camera storage media drives. Software undeletes all memorable photographs, pictures, video clips from damaged, corrupted or formatted digital camera memory devices. 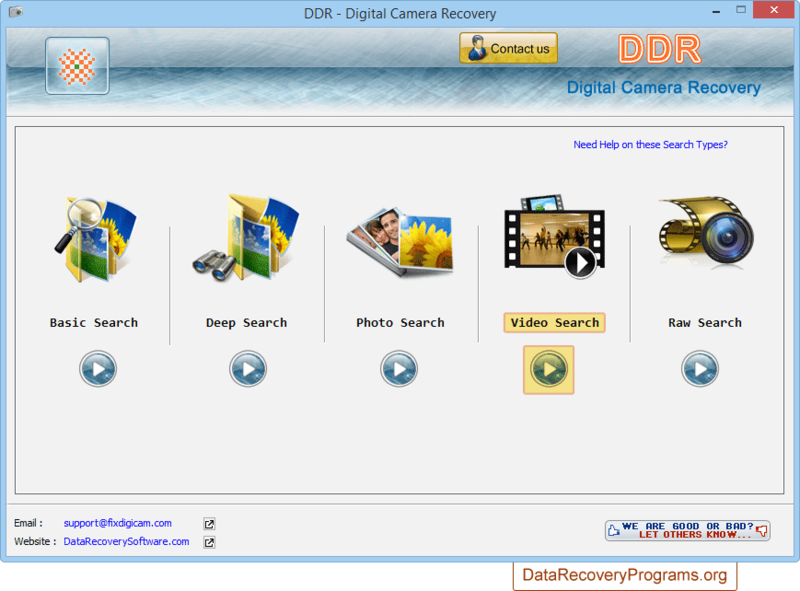 Digital camera files retrieval software facilitates recovery of erased media folders from all common data loss cases including accidental removal of digital camera memory card, human mistake or improper handling of digital camera. Provides recovery of lost pictures and videos from digital still cameras and digital video cameras. Rescue media files even when memory card being pulled out while camera is on or in use. 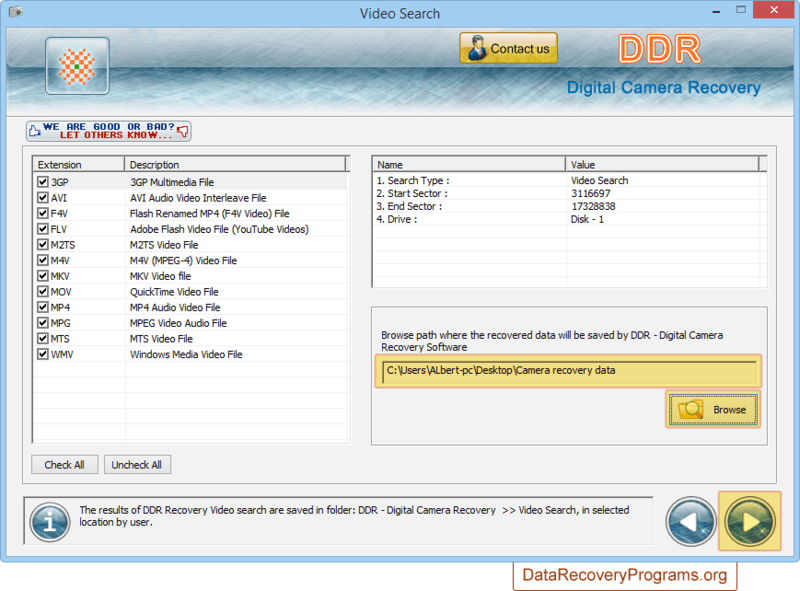 Data restored even if digital camera memory gets damaged, corrupted or formatted. Supports restoration of files lost due to improper handling of digital camera. Supports all popular digital camera types like Novelty camera, Point and Shoot camera, Digital still camera, Video camera, Ultra compact digital camera and many more. 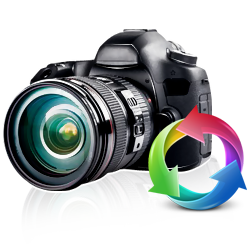 Works with all major digital camera brands like Canon, Nikon, Olympus, Sony, Fujitsu, Kodak, Panasonic, Pentax, Sigma, Samsung etc. Software provides five searching modes, choose any one mode according to your requirement. Select removable media from left panel and click next option to continue. Browse path where you want to save recovered data files and folders. Files searching process (using DDR Thorough Video Scanning Algorithm) is going on.